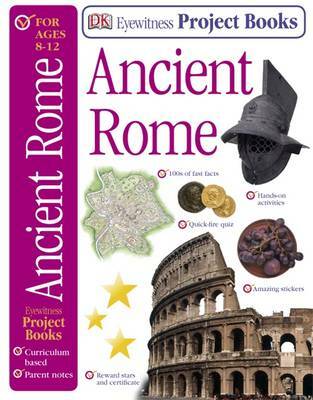 Help your child get to the top of the class fast with this "Eyewitness Project Book on Ancient Rome". Watch your child take their knowledge of Ancient Rome to the next level using this fill-in home-study workbook. They'll test their knowledge and train their brains with hands-on activities, amazing stickers and quick-fire quiz pages. Then turn the special wheel and pick up 100s of amazing facts fast. Do the activities together and encourage your child to practise essential skills at home to keep them one step ahead of the class. Fun-filled curriculum based exercises will help them progress with confidence. Reward stickers, a progress chart and pull-out certificate make learning about Ancient Rome fun and easy!